The festive season is almost upon us once again. 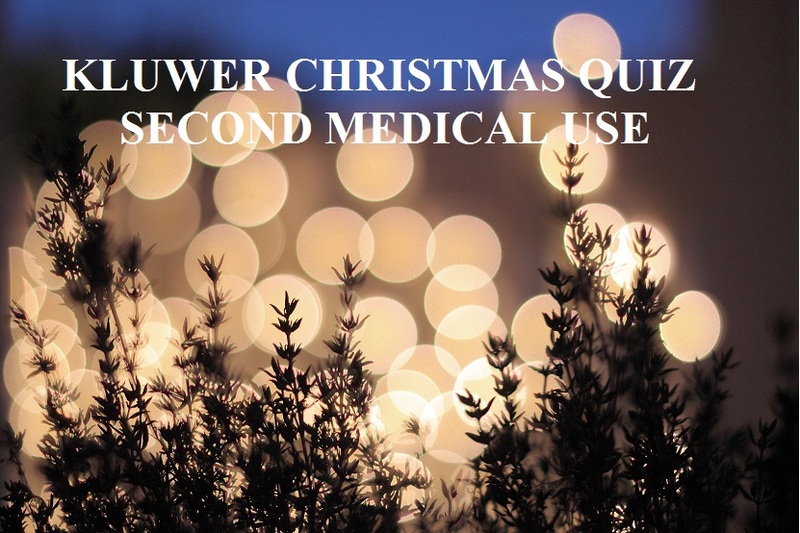 Since many British and other European folk (not to mention our American cousins) are feeling somewhat exhausted by the political upheavals that 2016 has brought with it, the Kluwer patents team thought that there could be few better ways to take one’s mind off the current turmoil than with a Christmas quiz on second medical use patents. Try and complete the quiz without looking anything up. Also, since questions 11 and 12 relate to matters of opinion, your answers will not count towards the total which will be marked out of 10. All correct entries will go into a hat and the draw for the prize (a copy of Buehling’s Patent Protection for Second Medical Uses is on offer) will be made on Monday 9 January 2017. We will publish the name of the lucky winner (assuming he or she does not demand anonymity), the correct answers, and the findings of questions 11 and 12 shortly thereafter.